We know that God’s Word is “alive, powerful, and sharper than a two-edged sword”. However, in our time it is easy to get lost in the reading without having anything to wrap our minds around when it comes to understanding the cultures, peoples, and context of the Bible. Nelson’s Illustrated Bible Dictionary: New and Enhanced Edition makes scripture real, and provides a connection point for your mind as you read. 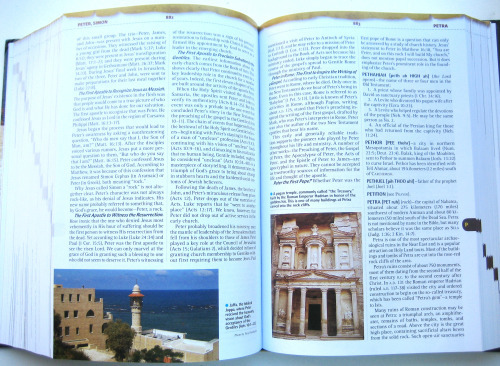 This full-color dictionary includes more than 500 photographs and maps in over 7,000 entries. A study and teaching outline is included for every book of the Bible. There are many special articles on current topics, with multiple charts, maps, and tables. This 1,200 page volume belongs on the shelf of every Christian. With this guide there is no longer an excuse of “boring scripture” or “too hard to understand”. The Illustrated Bible Dictionary should go hand-in-hand with your Bible reading, and will quickly become a reference that you will turn to again and again during your devotional time. This entry was posted in Uncategorized and tagged bible, bible dictionary, bible study, nelsons illustrated bible dictionary, ronald youngblood. Bookmark the permalink. Friend of God - What does it mean?